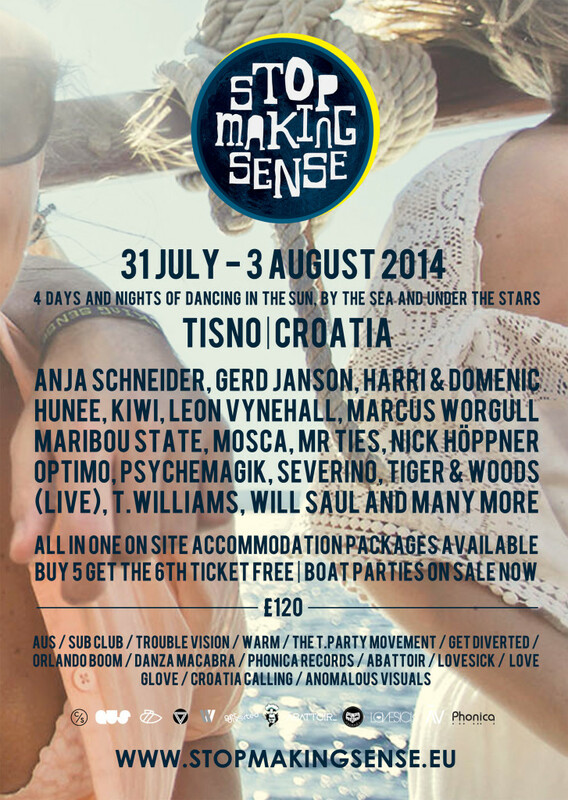 Stop Making Sense returns to the picturesque Croatian town Tisno on July 31st. Nestled in a secluded bay and now in its fifth year, the underground party prides itself on superbly handpicked lineups spread across a number of raucous beach and boat parties. Read our full review of last year’s festival here. This year’s lineup boasts DJ sets from the likes of eclectic selector Mr Ties, techno aficionado Marcus Worgull, Running Back head-honcho Gerd Janson and raw house head Vakula. It’s another eclectic, well-considered array of names, serving up chin-stroking techno (Nick Hoppner, Mr Ties) alongside the obligatory sun-soaked disco (Tiger & Woods, Harri & Domenic, Psychemagik). With an overabundance of rival Croatian festivals, Stop Making Sense stands head and shoulders above the rest by striking a perfect balance between idyllic holiday and festival fun. There are of course also the exuberant boat parties that embark twice a day, one around midday, and the second in the early evening. New to this year’s SMS promoters is the renowned London vinyl specialist Phonica Records, joining Aus, Sub Club, Trouble Vision, Warm, Orlando Boom, The T.Party, Love Glove and more. stopmakingsense.eu/sms-ticketsckets/ for details of accommodation and ticket packages – including BUY FIVE TICKETS AND GET SIXTH FREE special group ticket oﬀer.